CSDPrint has a fantastic range of portable, quick and easy display stands suitable for all budgets. Our mid-range pull-up banner stands are sleek and sturdy. These high quality retractable exhibition banners are ideal for longer term use. Our mid-range roller banner systems can be put up and placed just where you want them in a matter of minutes. The graphic can be single or double-sided and all of these banner stands have durable spring loaded mechanisms and substantial casings which are great for protecting the graphic from wear and tear while it’s stored away. 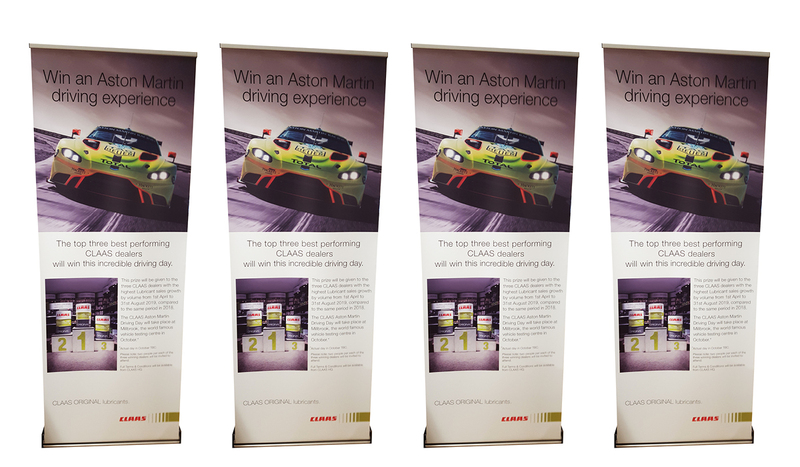 These good looking, high spec banner stands are not just popular with our exhibition clients, lots of our automotive customers use them too in their dealership showrooms, as do many schools and higher education customers.